40 weeks pregnant and I am still rocking my workouts! I have gotten a ton of people saying how they can't believe that I am still working out, hey me too sometimes. What I have figured out is that if you want to be healthy and fit especially while pregnant that you have to CHOOSE to do it. You have to WANT IT and really do it. Would I rather sit on my couch and surf Pinterest or Facebook. HECK YEAH! But...I also did not want to gain more than 30 pounds this pregnancy. That was a huge priority on my list. So what did I do...I worked really hard and made myself workout for at least 30 minutes a day 4-5 times a week. That's it. I never had to spend hours and hours at a gym. I didn't do any crazy exercises. I just continued what I was doing for as long as I could then I started modifying more, and here at the end I have been using more prenatal exercises I found on Youtube. One of my favorite things I have access to though has been the Active Maternity workouts available only on Beachbody on Demand. There is a workout for each of the different trimesters, and even a workout for postpartum after you have been cleared by your doc! I have really enjoyed them and I would do them 2 times a week, up until this past month when I introduced COUNTRY HEAT which has been so much fun! 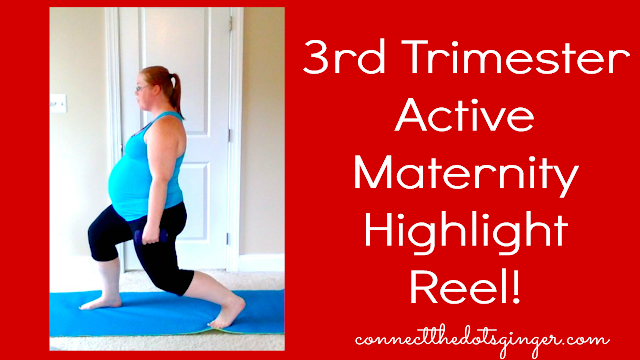 Check out my Highlight reel for the 3rd trimester Active Maternity Workout! You can find my other videos over at YOUTUBE! If you are looking at still wanting to be active and fit while you are pregnant. Let me know and let's chat because I was able to have a healthy and fit plus size pregnancy and I know you can have a healthy and fit pregnancy too!